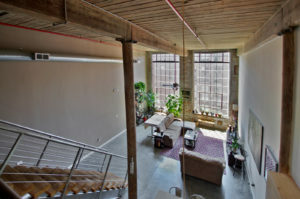 Looking for a New York Style Loft in Atlanta? 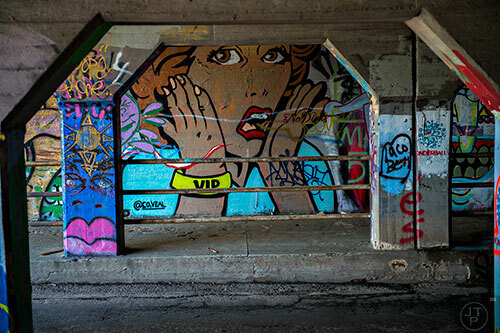 No need to look any further than this amazing loft located at The Stacks Lofts in Cabbagetown. Featuring wood timber ceilings, polished cement floors, exposed brick and floor t o ceiling windows this authentic loft will definitely cater to all loft enthusiasts. With over 1800 sq.ft. of living space and spread out over 2 levels you will soon realize that having a large loft in Atlanta can be a reality. Not only will you be head over heals for your loft, but you will fall in love with the community at The Stacks Lofts as well. 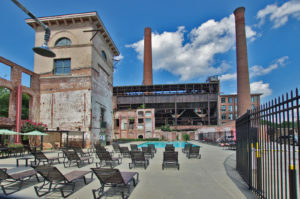 Diverse, quirky, laid back are just a few adjectives that make up the group of people that reside at The Stacks Lofts. With over 500 units spread out over 7 buildings, you won’t find yourself being secluded from society. With social gatherings at the Olympic Size pool, working out in the State of the Art fitness facility or hobnobbing up on the Community rooftop deck, you will always find yourself emerged with activities. Outside of the gates of the Stacks Lofts, you can take a short stroll on over to a handful of restaurants including one of the most well known restaurants in Atlanta, Agave. Or if you feel like a good ol pizza try Cabbagetown Pie. Need a good brunch? Carroll Street Cafe has it! Need a place to watch Atlanta United Soccer, head on down to Milltown Arms! Want a sweet investment as well as a great place to call home? Located just a few short blocks to the Beltline, Krog Street Market and the upcoming Atlanta Dairies project, you really can’t go wrong. You can have all of this and a place to call home! For more information and to take a tour contact Nesa!